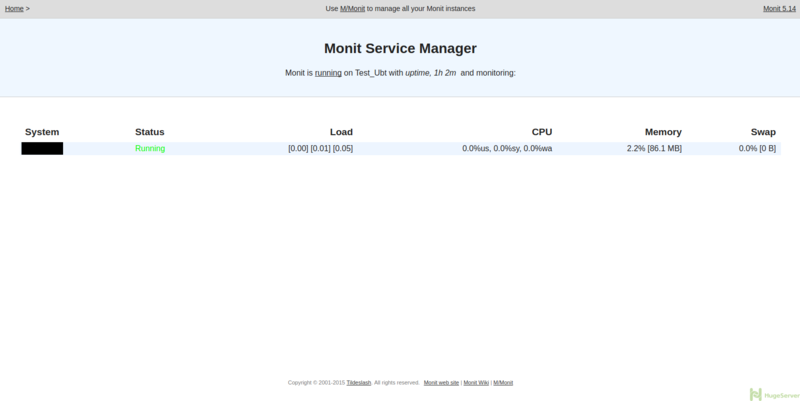 Monit is a free open source utility for managing and monitoring, processes, programs, files, directories and filesystems on a UNIX system. Monit conducts automatic maintenance and repair and can execute meaningful causal actions in error situations, for example, Monit can prevent your services from getting stopped. Automatic process maintenance in a lightweight package. Capability to act on out-of-bounds values for CPU, RAM, disk, file size, age and more. Monitoring of running services, and the ability to start, kill or restart. Automatic email alerts sent at event triggers. Web interface for status monitoring. You can check out Monit official website for more information and news!